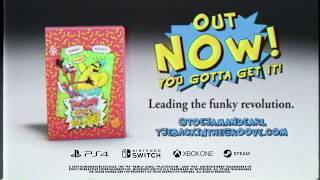 3/1/2019: ToeJam & Earl: Back in the Groove is now available on PC, PS4, Switch, and Xbox One. 12/4/2018: ToeJam & Earl: Back in the Groove will be available on PC, PS4, Switch, and Xbox One on March 1st. 6/28/2018: ToeJam & Earl: Back in the Groove will be coming to PC and consoles later this year.